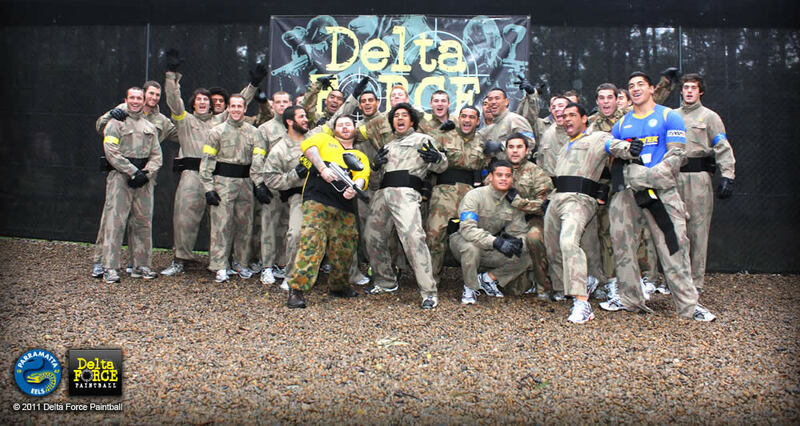 Twenty Five players from the Parramatta Eels took to the Fields of Delta Force Paintball Appin on Tuesday 21st of June. 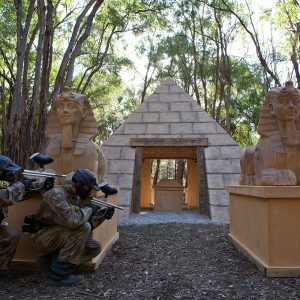 Two teams were chosen from amongst the club junior and senior players to take part in various paintball challenges played out in Delta Force Appin’s incredible Movie Set Quality Game Zones. “When you get guys like that together they are going to be competitive, they are extremely competitive in whatever they do.” And while “It was a unanimous decision that the seniors were the victors of the day’, Mr Holmes mentioned that the competition had been fierce. 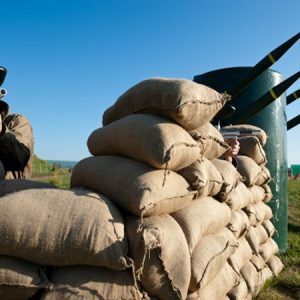 Delta Force Paintball, regarded as world leaders in the paintball industry, attribute their success to professionalism, movie-set quality games zones and their 100% safety record. 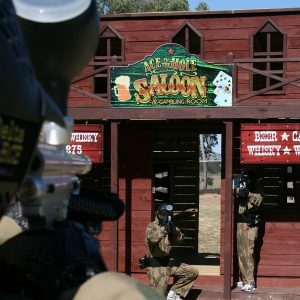 Mr Holmes statement “We are very appreciative that Delta Force had looked after our players” was a testament to Delta Force’s philosophy on providing a world class paintball experience to all of their customers. Mr Holmes also mentioned the Parramatta Eels will be back again. The Delta Force Managing Director (who was present on the day) also said he had enjoyed hosting the Parramatta Eels players. If you are interested in team building activities or bringing your corporate group to Appin please see our corporate/team building page.